A car repair shop is no different than any other business in that no two are identical. As a simple example of this, take the question posed in the title of this article – what does service on a car include? In some instances, that service will be limited exclusively to what you have requested. As an example, you might bring a vehicle to a shop for an oil change. The tech there may do that oil change and considered the job done. On the other hand, another shop might view the oil change as a far more in-depth service designed to include checks on a few other fluid levels. What that tells the average consumer is that the difference between a standard car repair shop and a great one is the dedication of the business to customer satisfaction. After all, there is not a single “set” list of services that applies universally to all vehicles. The items handled during a service begin with the type of vehicle and its overall condition. A good shop is going to look at what is needed and not just stop there, but will instead consider what else a client having a specific service done might also need. 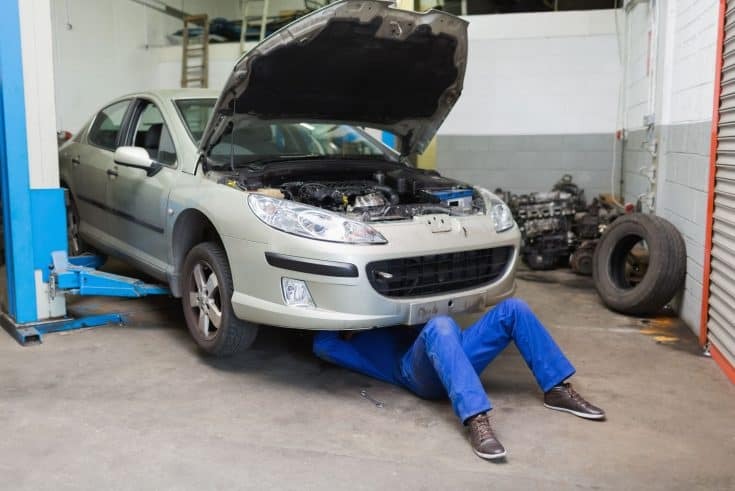 If your vehicle is in need of any sort of service, whether it is interim, full service, oil, and filter or a major repair (such as a steering column repair or collision repair), you need to begin with a single question: What is included in this repair? The experts at your auto shop should be able to give you a very detailed explanation of what their techs will do during even the most basic service. As a simple example, oil and filter should include the oil and filter, but if your repair shop is not also going to check fluid levels and do a few other little checkups, it does not have your satisfaction in mind. If you are in need of a car repair shop in the Aurora, and you require mechanical, or auto body repairs, BJ’s Auto Theft & Collision is a full-service destination. With an emphasis on customer satisfaction, they make a wide range of service options available. Everything is done by qualified techs, and your vehicle is restored to its original condition.